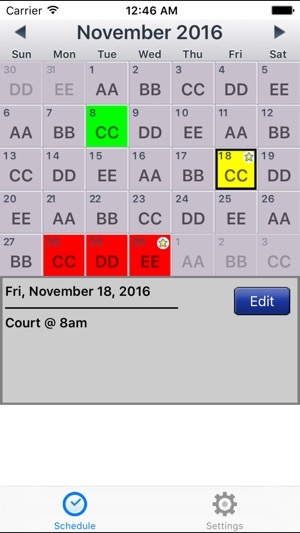 Simple Calendar App for Repeating Shift Schedules & adding notes/highlight colors for any day. 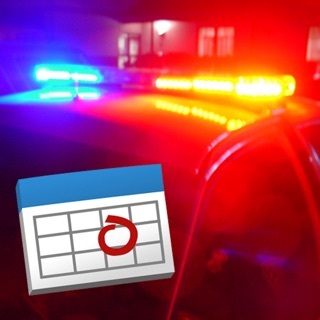 For anyone that has a rotating/repeating shift schedule -- Calendar/Schedule app, for example if police officers wish to view which squads work together and which squads have days off. Tap on Edit button for any day to flip the screen and Add Notes for any day or highlight it a color for important dates. 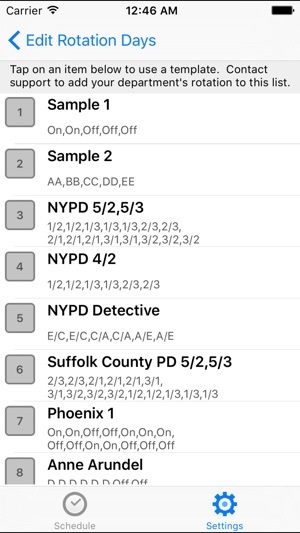 Tap on Set Rotation Days to customize the days to rotate (add, remove, move days around) to make the schedule exactly match your own. Load templates to download a predefined schedules so you don't need to enter it manually. Please contact support before leaving any negative reviews, we can almost always help, and we have no way of answering reviews. 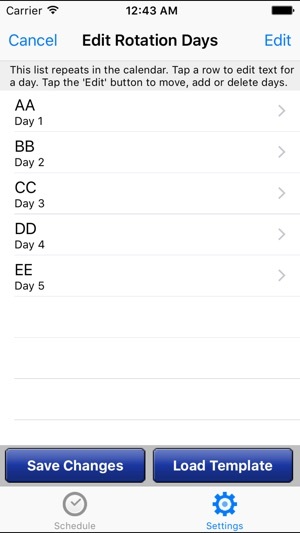 Automatically highlight a color for text string for the calendar by setting it one time in settings. Choose up to 3 different colors/string combos. I work a 5/2, 5/3 shift and my wife dispatches working a 4/2. I emailed asking if there was a way to load both schedules at once so I can see both our days on and off. I was emailed back within a half or or so (late on a Friday night) explaining it wasn’t possible but that they could be combined to create a new schedule. I did the shifts out for 30 days (luckily my wife and I had the same day one recently) and submitted it. 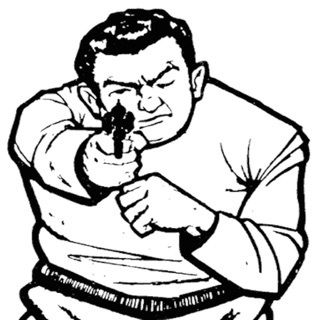 Saturday morning I get an email that my schedule has been added to the list. Exactly what I was looking for. That’s great service! 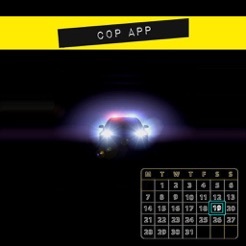 Hands down an indispensable app for police officers. I set up my schedule on this app and now I can look ahead months at a time to find out if I need to submit for a day off or if I have off already. More importantly I use this app to keep track of any overtime I do to keep track of the hours. The color labeling of dates are very functional as well. 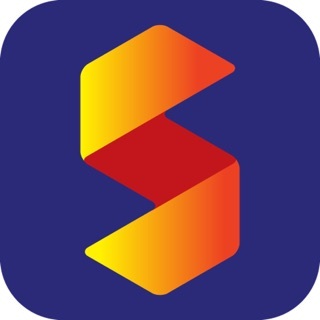 Great app all around and 5 easy stars. Update: Customer contact was very helpful addressing the problem I was having. 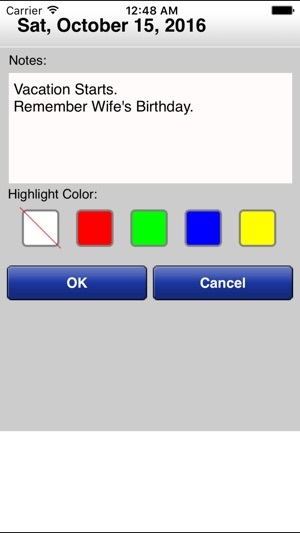 Now that they helped me highlight all my RDOs this app has been really helpful. Would give this app 5 stars if the highlight text feature would work. I hate having to manually highlighting my RDOs. Hi, to highlight days off, you can simply go to Settings-->Highlight Text. From there you can enter the text to highlight (ie: "Off"), and choose a color. 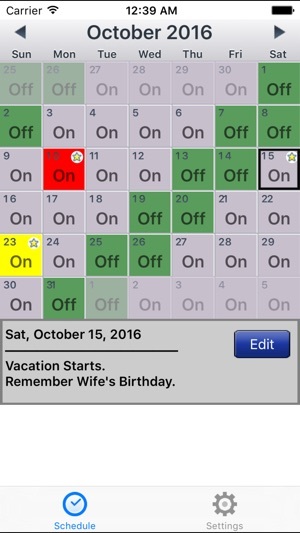 All days will be automatically highlighted. Please contact support if you need any help with it, thanks. © (C) 2016, MyProjectX, Inc.